The challenge, however, is this: How can we design our products, advertisements and experiences such that they push the right sensory buttons in our consumers? 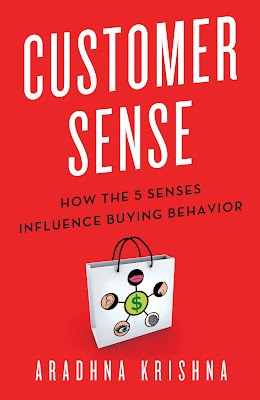 Enter Customer Sense - How the 5 Senses Influence Buying Behavior by University of Michigan professor Aradhna Krishna. Focusing on sensory marketing, ie "marketing that engages consumers' senses and affects their perception, judgement, and behaviour", Krishna's slim volume is part human biology, part consumer psychology and part marketing. Packed with case studies from Microsoft, Starbucks, Proctor & Gamble to alcohol brands, the book describes how sensory signatures could epitomise how brands are perceived. Evoked by a combination of sensations, examples of sensory signatures include the breast cancer movement's pink ribbon and the ubiquitous jingle accompanying an "Intel inside" TV or radio ad. We're also educated on how sensory imagery (the ability to imagine sensations) can trigger positive or negative associations. This varies from individual to individual, and can be vastly different across geographies, cultures and age groups. Widely considered as the most dominant sense, our sense of sight can be fooled by illusions and biases. For example, a taller and thinner glass may be perceived as containing more water compared to a shorter and wider glass. Through various hues, shapes, packaging designs and colours, companies can shape how their products are perceived. Some of the insights are pretty cool. For instance, an image of the product on the bottom or right side of a package gives a visual impression of a heavier product compared to one on the left or top side of a package. Visual cues can also be interpreted differently across different cultures. However, some universal trends prevail - eg red as arousing/exciting and blue as relaxing/ tranquil. From sound logos, jingles, slogans, melodies, noises to music, companies are deploying auditory cues to develop a sonic brand. Language and speech are also instrumental - masculine voices convey a sense of confidence and authority while female voices appear light and beautiful. 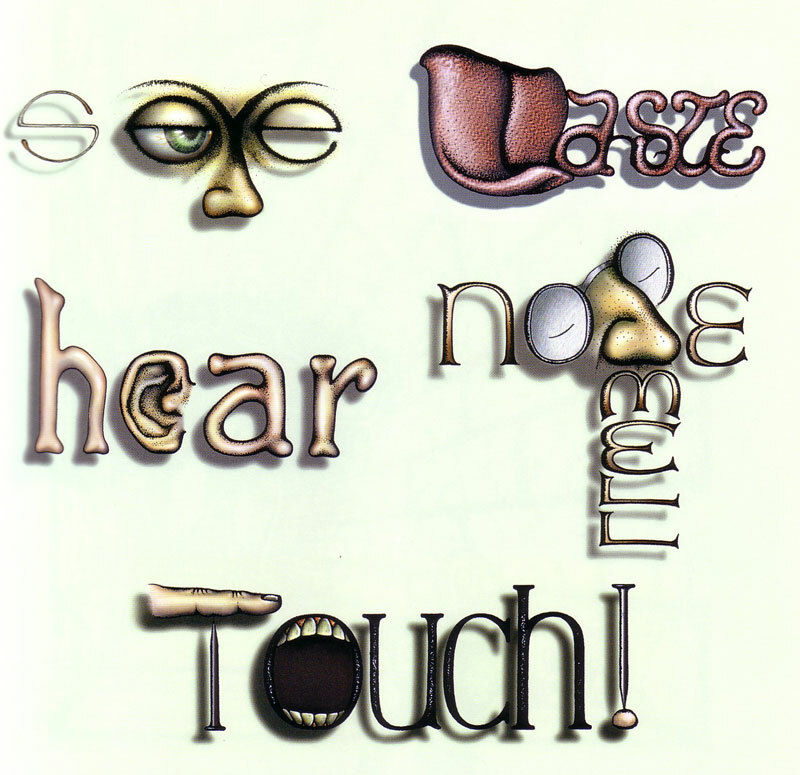 Auditory signatures like the thunderous roar of a Harley Davidson engine are also important facets of a brands. Scents are deeply rooted to emotions and memories. Our odour preferences are often developed by associative learning, ie we come to associate certain experiences with feelings. For example, the smell of lavender may be associated with a massage and hence relaxation. Certain scents like citrus fruits are associated with cleanliness. Meanwhile companies like Starbucks pay utmost attention to ensuring that their aromas of coffee are not tainted by other food smells. Working in close unison with one's sense of smell (you can't taste if you can't smell), taste is often perceived as an amalgamation of all our senses - hearing, sight, touch, and particularly scent. Predominantly relevant in the food industry, the multisensory nature of taste makes it critical for companies to carefully design how multiple stimuli work together to project the right flavour. Also known as haptics, one's sense of touch is distributed across one's skin and mouth (via the cutaneous system) unlike other more focused senses. Informational or instrumental touches are used to gain information about an object, while hedonic or autotelic touches refer to the pleasurable sensations of touch (like the feel of soft velvet on our skin). The most fulfilling types of touch are those involving humans touching one another. While Krishna's book scored in helping one understand how biology interwove with customer behaviour, it doesn't quite provide a strategic framework or tool. This differs from the work of other experts in the experiential field like Martin Lindstrom (of Brand Sense) and Bernd Schmitt. I also found the concluding section on sensory makeovers a little too theoretical for my liking. In summary, Customer Sense provides a good introduction to the world of sensory marketing and gives much food for thought to companies keen to embrace the five senses in all aspects of marketing.